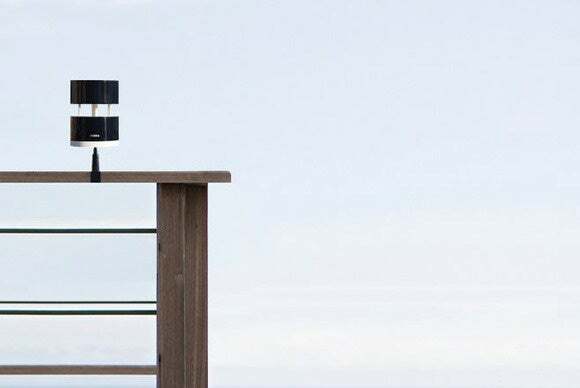 You can now assemble an inexpensive meteorological station right in your backyard. 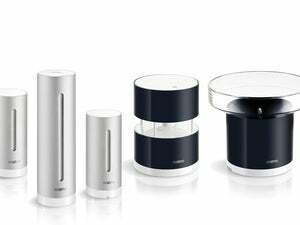 Netatmo unveiled two new add-on components for its Weather Station at IFA last night. The Weather Station is a kit that monitors the temperature and air quality in and around your home and reports the status to a smartphone app. The $79 rain gauge can measure up to six inches of rainfall per hour, emptying automatically via a small pivoting cup at the bottom of gauge. The app reports accumulated rainfall for the past five minutes, the past hour, and for the entire day. The $99 wind gauge uses solid-state sensors to measure wind speed and direction and has no moving parts. The $149 starter kit includes one indoor and one outdoor sensor for monitoring ambient temperature, relative humidity, and carbon-dioxide levels. You can deploy up to three additional indoor sensors, $79 each, to monitor different areas inside your home. The indoor module will send an alert to your smartphone if CO2 levels become high, suggesting that you open some windows to bring in fresh air. The outdoor module also measures barometric pressure, and the app delivers weather reports for your location. Why this matters: Monitoring the weather can be a fun hobby, and it’s a great way to teach youngsters about the environment. But high-end, cloud-connected weather stations can be very pricey. Netatmo’s products significantly lower the barrier to entry. The Netatmo Weather Station starter kit, add-on indoor modules, and rain gauge are available now. The wind gauge will be available soon.